Driven to bed by the recurrence of an old condition, I spent the last few days reading the 2004 memoirs of Daniel Bensaïd: Une Lente Impatience, published last year in English as “An Impatient Life.” Probably you haven’t heard of the author, unless you are as quirky as I am, in which case seek help. 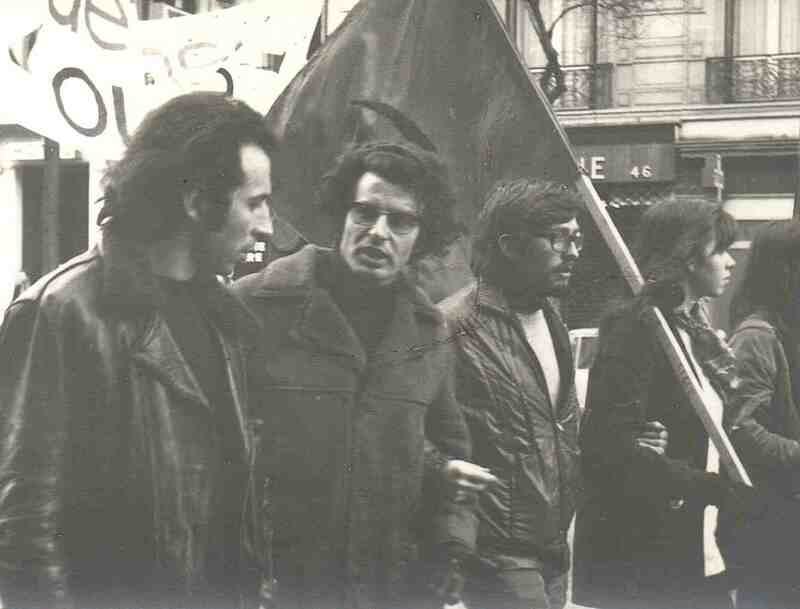 Bensaïd was a French Marxist activist, a revolutionary, and a major thinker of our post- (but not post enough) modern Left. The son of a Sephardic Jew from Algeria, Bensaïd grew up in Toulouse. 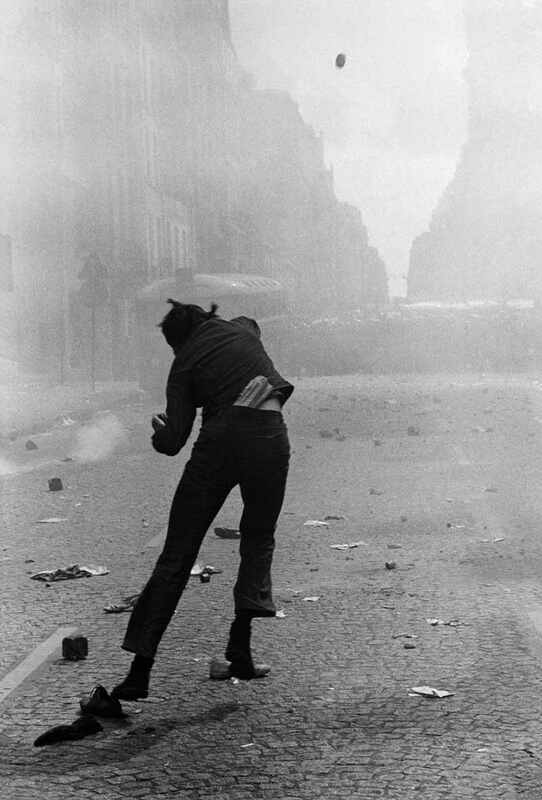 When he was fifteen years old and a student, the Paris police repeatedly indulged in horrific abuses against Algerian communities. 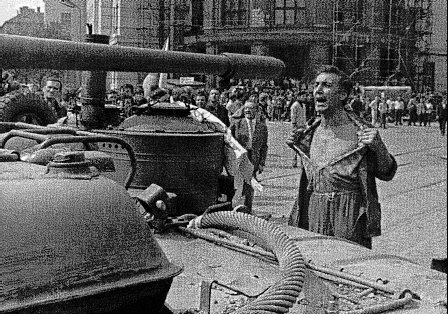 In October 1961, the forces of order commanded by the authentic fascist Maurice Papon – who was convicted nearly forty years later for his Vichy-era collaboration with the Nazis – massacred up to 200 demonstrators for Algerian independence. They dumped many wounded in the Seine to drown. They slaughtered nine more at a protest the following February. The blood and the indifference — the killings remained unnoticed and unknown — galvanized Bensaïd into politics. 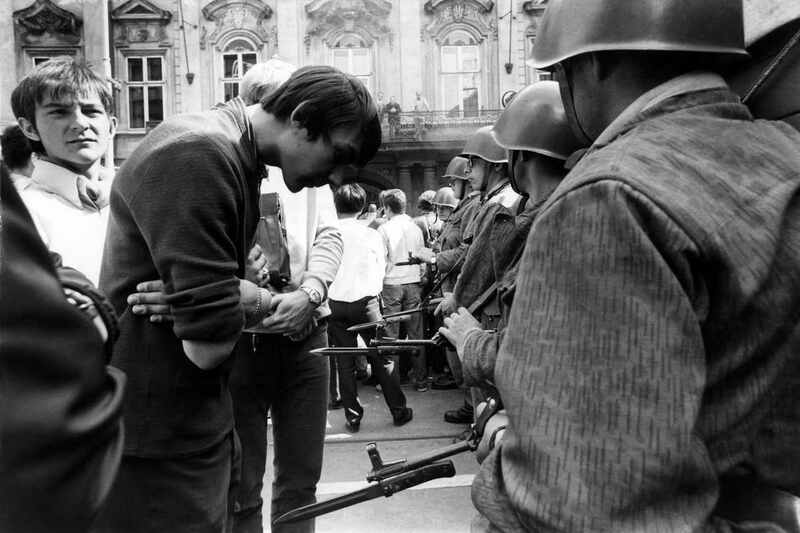 October 17, 1961: arrested pro-Algerian demonstrators huddle on the floor of Paris police headquarters, where, a little later, many would be shot in the courtyard. Bensaïd joined the Communist Party’s youth wing, but, repelled by its reigning Stalinism, he quickly became the center of a left opposition within the ranks. 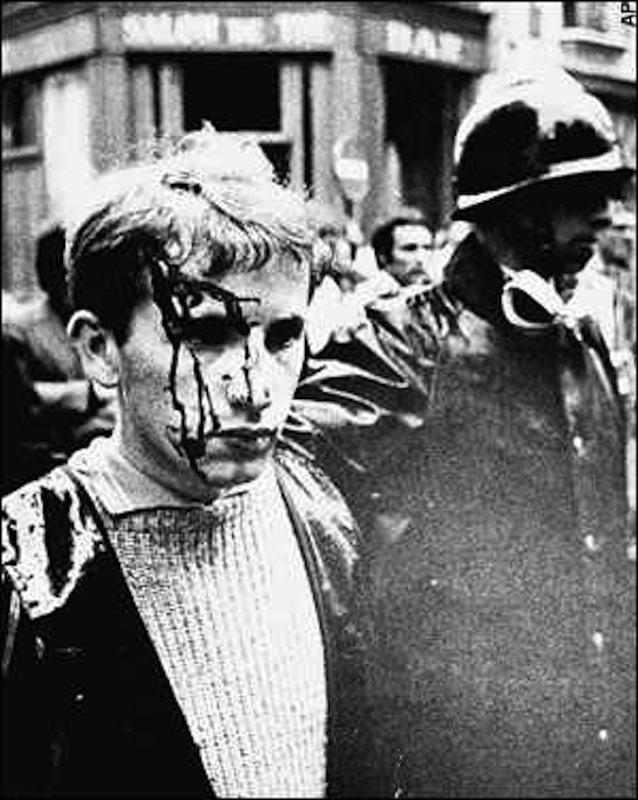 In 1966 he helped found the Jeunesse Communiste Révolutionnaire, a dissident group formally breaking with party orthodoxy. 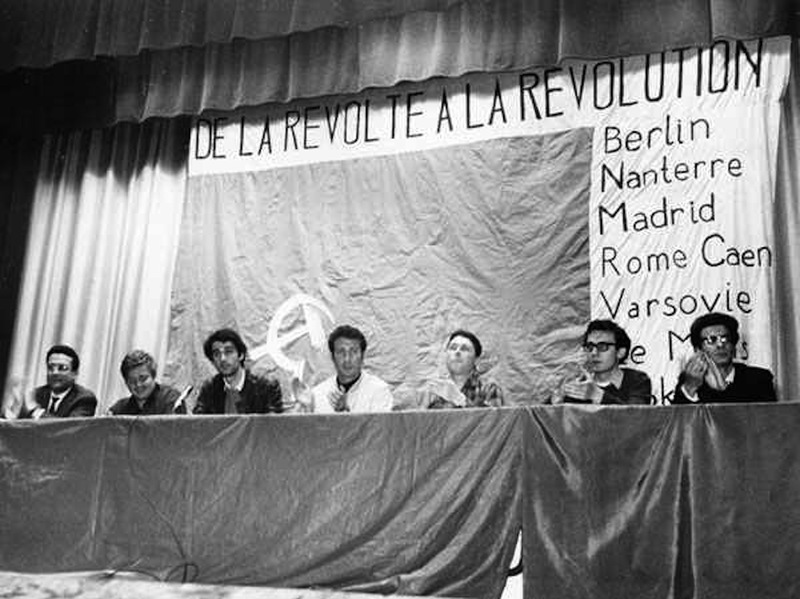 In 1968 he was, with Daniel Cohn-Bendit, a leading impetus behind the Mouvement du 22 Mars – the students who ignited the May 1968 revolt that almost toppled de Gaulle. In subsequent years he supported leftist movements in the global South, especially Latin America, where he worked with groups in Argentina and Colombia through the 1970s and 1980s. In Brazil, he assisted in building the Workers Party, which now governs the country. As a teacher, philosopher, and theorist for the Fourth International, he contended in the 1990s that Southern social movements were vital players in revitalizing the Left. 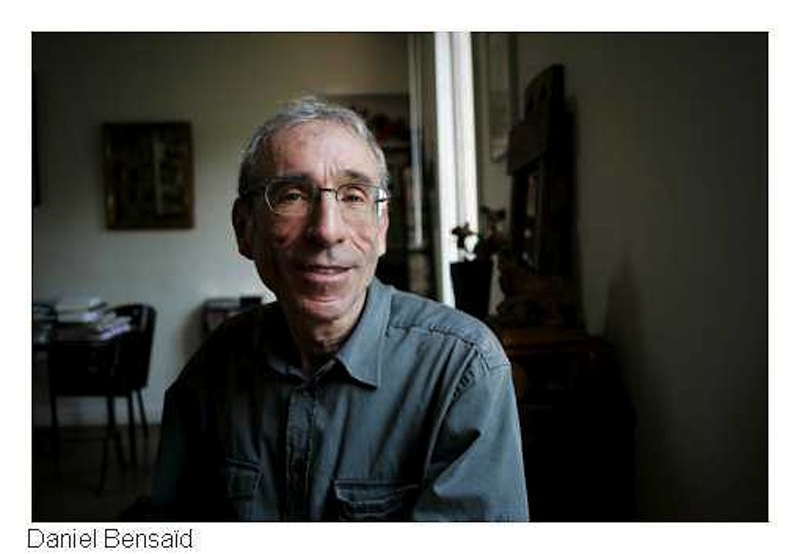 For the last 16 years before his death, Bensaïd lived with HIV and AIDS; complications from the treatments finally killed him, at 63, in 2010. So I want to share a few passages from his memoirs. Find the whole book here. I hesitated for a long while before writing this book … [But] I experienced the feeling that we belonged to a landscape threatened with disappearance. We had all grown up in the historical sequence opened by the Great War and the Russian Revolution, on a continent that was now almost submerged. 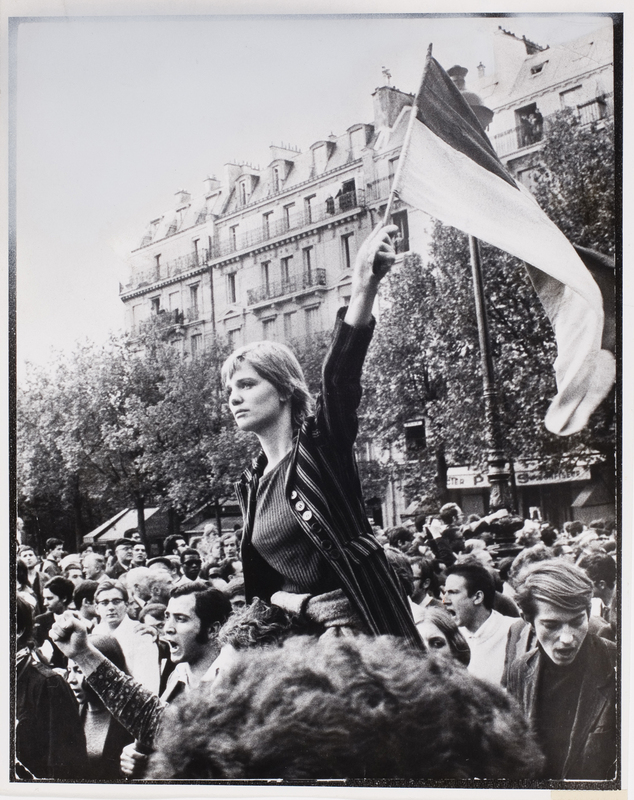 Our formative years – the 1950s, 60s, and 70s – were as remote, for the new minds of the new century, as the Belle Époque, the Dreyfus affair, or the heroic deeds of Teruel and Guadalajara had been to us. Can the light from our extinct stars still travel on? Is there still time to rescue this tradition from the conformism that always threatens? To transmit, but what? And how? It is the heirs who decide the inheritance. They make the selection, and are more faithful to it in infidelity than in the bigotry of memorial. For fidelity can itself become a banally conservative routine, preventing one from being astonished by the present. How not to mistrust, anyway, that virtuous fidelity which betrayal accompanies like a shadow? Does one always know to what or to whom one is really faithful? Fidelity has a past. It is never sure of having a future. Many friends, tired no doubt of often having had to press against the grain of history, have made peace with the intolerable order of things. How melancholy was the disenchanted fidelity of Flaubert’s ‘48ers in A Sentimental Education! “Remain faithful to what you were” means being faithful to the fissure of event and the moment of truth, where what is invisible usually reveals itself. It does not mean giving in to the command of the winners, surrendering to their victory, entering their ranks. As opposed to a dogged attachment to a faded past, it means “being faithful to the rendezvous”—whether one of love, politics, or history. We have sometimes deceived ourselves, perhaps even often, and on many things. But at least we did not deceive ourselves about either the struggle or the choice of enemy. Thirty years after independence, Algeria was in the grips of civil war. The war of liberation in Indochina took a bad turn, with the butchery in Cambodia and the conflicts between peoples who had proclaimed themselves brothers. The humanist socialism that Che dreamed of seems to have evaporated. And yet? Is this sufficient reason to go over to the winning side, arms and baggage, and enroll in the imperial crusades of George Bush and Donald Rumsfeld? Revolution changed its home base, its continent, according to political colour, but it came from outside, and had the irrational virtue of an emotion tied to something distant that had to be brought into being. An emotional movement, no doubt, even if it was armed with theories, and lent more to the actual combatants than they could return. Today the tone is one of mockery, even pride. People conceal the fact that they waved flags and shouted names, or else they laugh themselves sick. There was undoubtedly an immense amount of illusion – but if there had not been, there would not have been that movement, that leap, the active convergence of all those rejections, and would we not then have covered ourselves with shame, quite incomparable with the mistakes that we may have committed in the running fire of support actions? This is my position too. The planet-wide demonstrations of 15 February 2003 against the imperialist war were a new struggle against the shame there would have been in doing nothing. Without seeking here any positive hero, which is certainly for the best: neither Bin Laden nor Saddam Hussein were champions of a new internationalism. Eternity does not exist. So it is necessary to wager on the “non-inevitable share of becoming” inscribed “in this general faculty of surpassing that takes varying forms, in dream, imagination, and desire” … The notion of commitment clumsily evokes this logical wager on the uncertain. A secular, everyday wager, launched anew every day. This wager, unavoidable as long as the necessary and the possible remain in disagreement, is made by countless people across the world, however discreetly. The Polish dissident Karol Modzelewski, when asked one day for the secret of his perseverance, despite disappointments and disillusions, simply replied: “Loyalty to persons unknown.” There are always, beyond gregarious membership and exclusive identity, these elective affinities, these molecular loyalties, this hidden community of sharing, this minuscule conspiracy and discreet conjuration whose “secret name,” for Heine, was communism, transmitted from one person to another. Despite the infamies committed in its name, it remains the most pertinent word, the word most freighted with memory, the most precise and most apt to name the historic issues of the present time. On 11 July 1977, at seven in the evening, Roberto MacLean was murdered in Barranquilla, on the doorstep of his house. An almost everyday occurrence: in Colombia, thousands of political executions take place every year. MacLean was black and a revolutionary. He was thirty-nine years old, and had been a political militant since the age of fourteen. He led the civic movement in his town. For more than ten years, he lived every day with the imminence of violent death. A digression? In fact, nothing could be more pertinent. MacLean is a kind of emblematic representative of those unknowns to whom we are tied by an irredeemable debt. During the gloomy 1980s, we stuck to our course under the satisfied condescension of the various “exes,” who had given up on everything but themselves. In a tone of ironic compassion, behind which sarcasm visibly lurked, they would ask: “Still a militant, then, old chap … ?” As if we were a disappearing species, the last Mohicans of a condemned tribe. As if we had lost our time and wasted our talents, instead of climbing the ladder of a successful career garlanded with laurels. No, we hadn’t wasted our time. We rubbed shoulders with many indispensable unknowns – hundreds and thousands of MacLeans. We experienced wonderful friendships, and resurrecting shocks propitious for the rejuvenation of hearts and souls. Of course, we had more evenings of defeat than triumphant mornings. But we put behind us that Last Judgment of sinister memory. And, by dint of patience, we won the precious right to begin again. When strategic directions are confused or erased, it is necessary to return to the essential: what it is that makes the world as it is unacceptable and makes it impossible to resign oneself to the blind force of things. Its explosive mixture of partial rationalization and growing global irrationality. The disproportion and disarray of a deranged world. This is why the world still has to be changed, and still more profoundly and more urgently than we had imagined forty years ago. Any doubt bears on the possibility of succeeding, not on the necessity of trying …. Politics is an art of decision, and implies constructing a power. By establishing the exception as norm, it resolves a critical situation. For a new right is never deducible by genealogy from an old right, without rupture or discontinuity. It comes about by the mediation of force. There is no ultimate certainty on which to base judgment. We are embarked, as the subtle Pascal put it. It is impossible to escape the tough duty of deciding. So we have to wager. 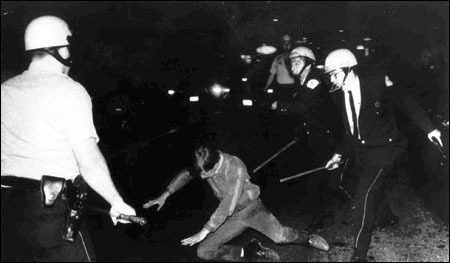 What exactly is the politics on which we embarked forty years ago? Contemptuously defying the orthodox tradition, we happily proclaimed that “everything is political.” Everything is quite a lot, indeed too much. Everything? To a certain extent, and up to a certain point. If we want to avoid politics becoming despotic and totalitarian by devouring everything else, then that exact extent and precise point are decisive. Another register, another temporal regime: you cannot legislate on the Oedipus complex or on sexual orientation as you can on the civil service or social security. To rescue politics from these threats of disappearance, it has to be conceived anew, as the site of deliberation and decision where different spaces and rhythms combine. Those of the economy, of information, of ecology and of law are no longer in tune with one another. We have therefore to abandon the mirage of a politically homogeneous space and time, and learn to conceive the sites and moments of a future politics. Their articulation will determine the ability to open perspectives both spatial (territorial and local) and temporal (of memory and expectation), without which depoliticized politics degenerates into the management of a shrunken present, without either past or future.